How to Re-Bloom Your Christmas Flowers–Or Not! Have you still got some Christmas flowers hanging around that you’d like to try to salvage? Poinsettias, Paper Whites, Christmas Cactus, Amaryllis–all greenhouse-grown in such a way that they will flower over the Christmas period. But what can you do to make that happen again, or to keep them blooming? In most cases, the answer is “Not Much”. But let’s look at those 4 one by one. 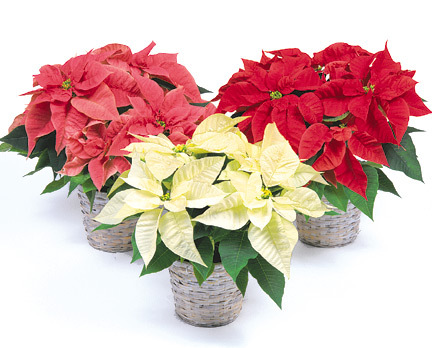 Like most houseplants, Poinsettia is a tropical plant, so it requires a lot of light, moderate warmth, and moderate watering. 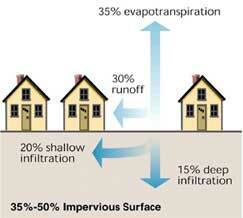 And since our winter-time homes tend to be pretty dry, some extra humidity would also help. If your preferred spot is on the dining room table, odds are this won’t be the sunniest place in the house, so your plant will start to drop its leaves earlier than if it sat in a south facing window. Once your poinsettia has lost many or most of it’s flowers (actually “bracts”–the flowers are the tiny little white bits in the centre), the careful attention it requires to rest, then grow, then experience total black-out in order to set buds, is more work than most of us are prepared to put into it. So my suggestion is, discard it when it looks tatty, and buy another next year. For more info on keeping your poinsettia looking as nice as possible as long as possible, and even trying to get it to bloom again next winter, here’s The Poinsettia Page. We often grow paper whites in a shallow bowl (or in this case tall glass vase) with rocks or marbles. But it they’re grown in soil they will be easier to keep growing. Once the flowers have faded, cut them off (just the flower head or the whole stem), but leave the leaves to grow and support the bulb with nutrition. (Remember, leaves feed the plant by converting sunlight to carbohydrates through photosynthesis.) Keep it indoors in a bright area until the leaves have also faded. Then they can be removed. Once all danger of frost is over (our last frost date in Vancouver is March 28) they can be planted out in a sunny spot. From there, they’ll act like any other narcissus (aka daffodil), except they may never multiply. The Narcissus papyraceus is less hardy (Zone 8+) than our common daffs, so you can’t expect it to perform quite as well. And you won’t be able to “force” it to bloom indoors a second time. Now we’re getting to more hopeful re-bloomers. 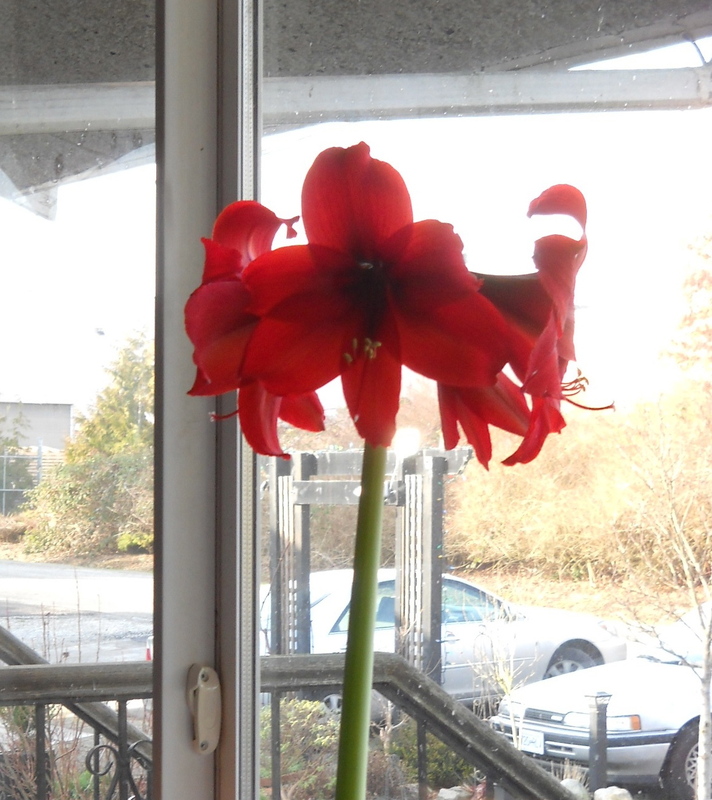 To make sure you’ll be able to salvage your amaryllis for more years of bloom, you have to care for it appropriately from the start. Often the bulb comes in a gift box with growing medium and a pot. And often that pot has NO drainage holes. CUT OR DRILL SOME HOLES, or use a different pot that does have drainage holes. Water infrequently and give it as much sun as possible. Once in bloom it doesn’t need much light, since it’s at the end of this particular growth period. 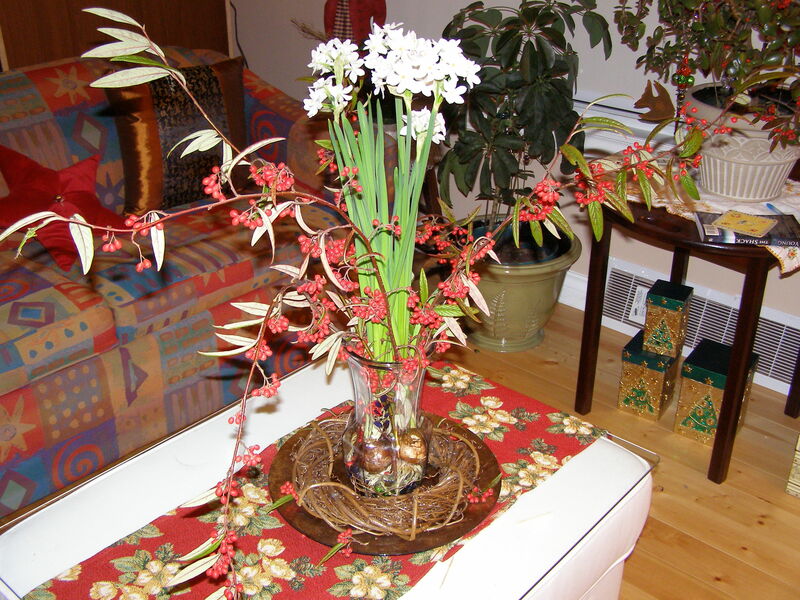 Now treat the amaryllis just like the paper whites (above)–like a houseplant until late spring/early summer. (The ground here is still very wet until June, so better wait to plant out.) They can even be left in their pots when planted out so they get natural light and rain, as well as whatever fertilizer you supply to your annuals and perennials, but lifting them in the fall is easier. Before first frost date (Nov 5 in Vancouver) dig them up, shake off the soil from the roots, and put in a paper bag in the fridge for 6 weeks. then plant up in the same way you did at the beginning. Easy-peasy! Of course the easiest one. 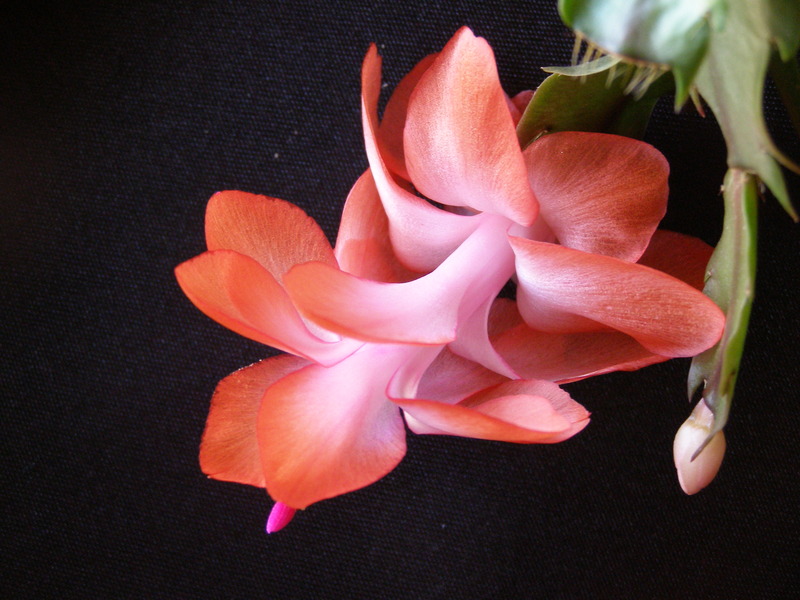 Treat it like any other houseplant until the first of October. From that moment, don’t water or fertilize it, and if possible place it in a cooler darker area of the house. The plant figures it’s dying, so puts out flowers to generate new babies (in theory–although I’ve never seen these flowers, once faded, turn to seed heads…). Once it has put on quite a few buds, you can bring it back into whatever space you like, and water as usual. (With almost all houseplants “as usual” means “less than you think it needs“.) Repeat every year. Have you tried to salvage any of your Christmas flowers? Would love to hear about your successes or failures. 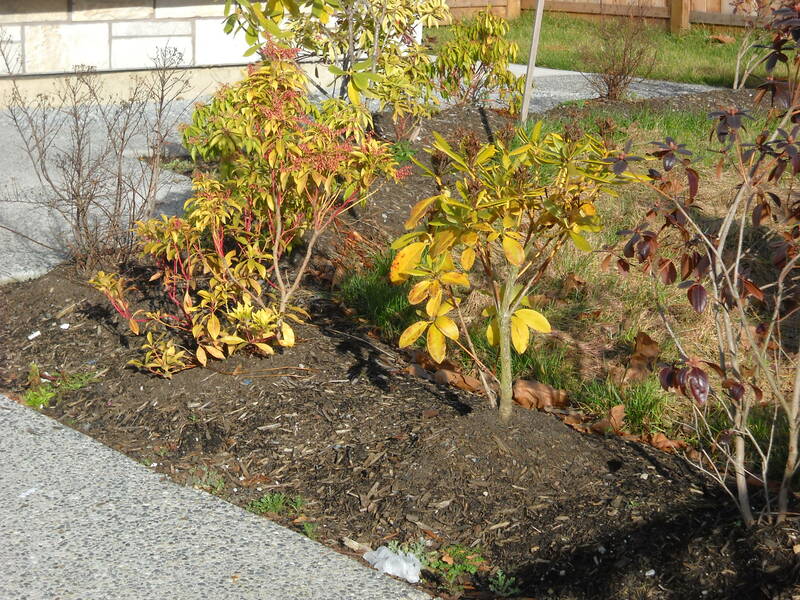 It seems a lot of people and/or landscapers are under the misapprehension that when it comes to soil, more is better. This is not always the case. This volcano of soil is doing a couple of bad things to this poor rhodo. Firstly, stems and trunks should never be buried like this. You’ll see more of this in the next few pics. You should always see the root flare at the junction between the stem/trunk and the soil. You’ll see “bell bottom trousers”. 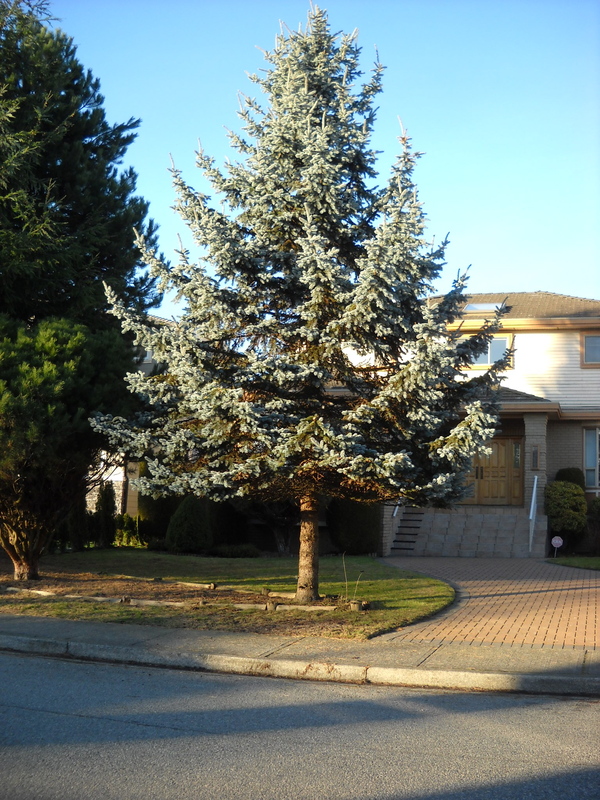 LOVE this tree: Blue Spruce in the neighbourhood. You can just about see the root flare if you click on the image to enlarge it then click again. 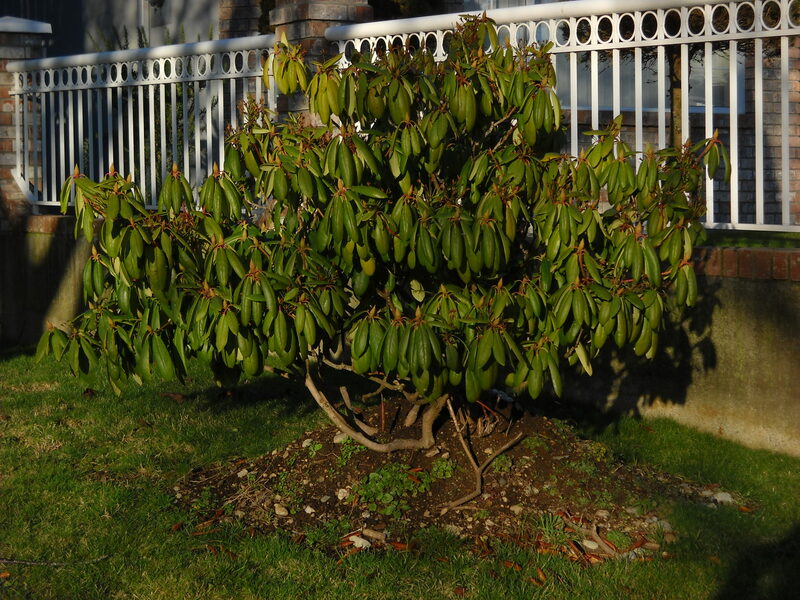 Secondly, rhodo roots are even more shallow than other woody plants, so adding ANY soil on top of the planting area is going to make your rhodo suffer–from too much moisture and too little oxygen. 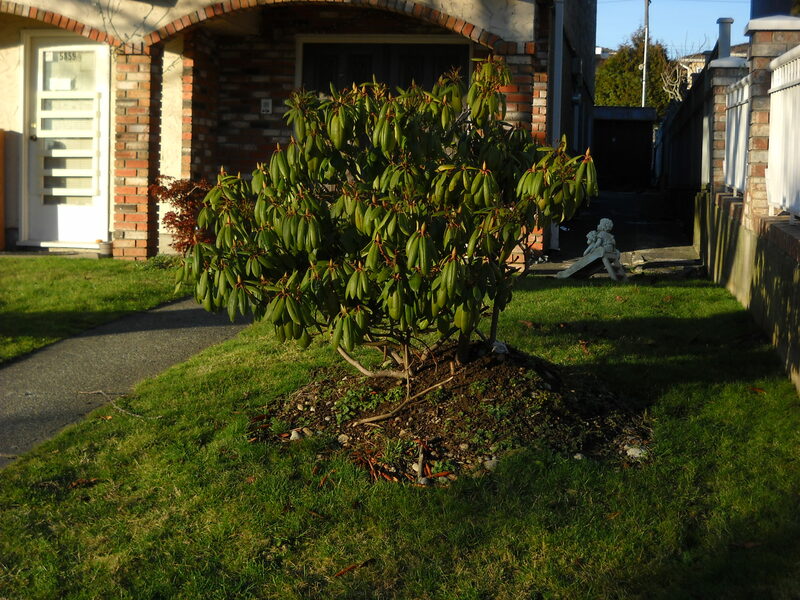 Very sad little rhodo in a brand new planting bed–this duplex was just finished in the Fall. You can and should still mulch rhodos, just several inches away the the trunk, and only about 2″ of nice light mulch (wood chips or well composted compost), not soil. 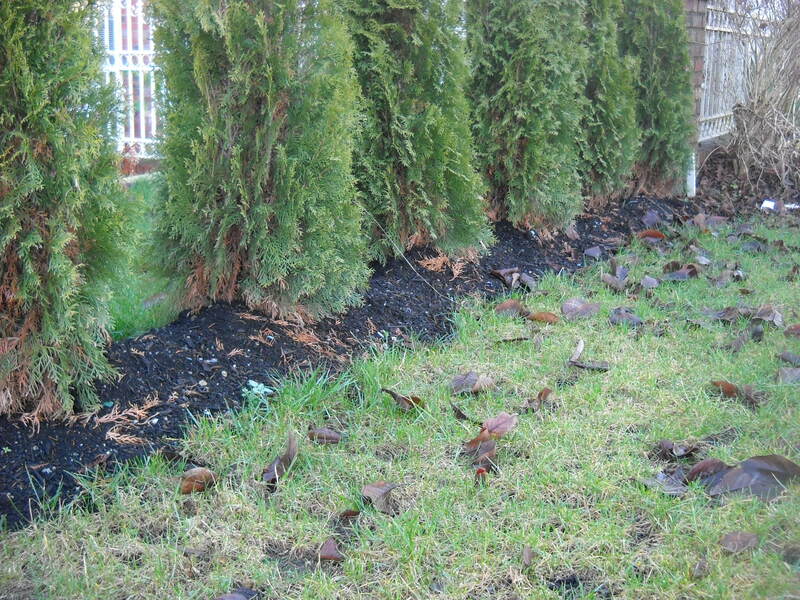 Exactly the same thing above–soil (or in this case bark mulch) mounded up around the trunks of these Thuja (arborvitae). This causes a number of problems: Too much moisture against the trunk will invite disease and bark splitting. It also promotes root girdling, which is when roots start following a circular path around the trunk instead of heading out perpendicular to the trunk. As those roots grow and fatten they will often pinch the channels that draw water, oxygen, and nutrition up the tree. 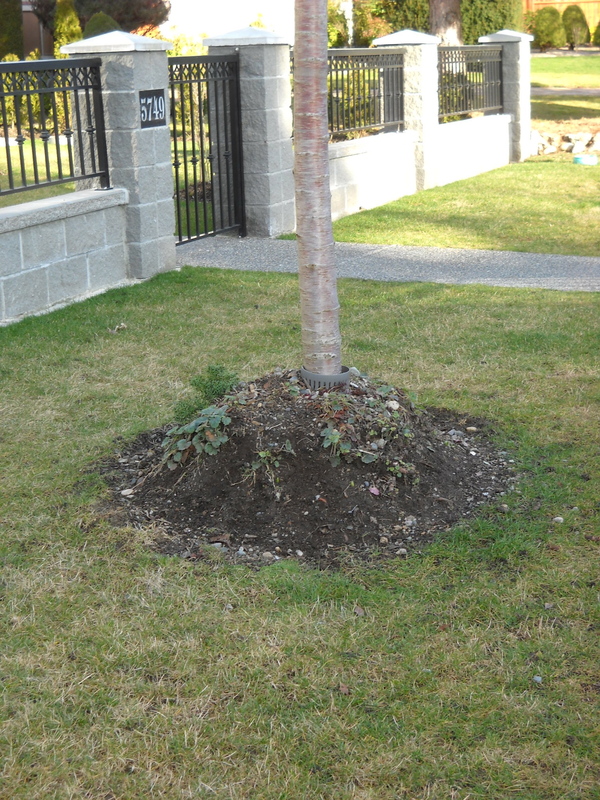 Root girdling is a very bad thing for your tree. I plan to write discreet polite letters to the owners of these trees and shrubs offering to help remediate their plantings. Hopefully they won’t be too offended at the local busybody who thinks she knows everything! Love to get your comments and questions. First of all, why should you bother with a “wildlife garden”? Providing habitat for native critters will not only benefit them, but you as well. The more diversity you have in your garden the more you’ll appreciate it and get out into it. Which as you know from reading my first post of the year, is very good for your mental and physical well-being. Then of course there’s what you learn from co-habiting with lots of different species, and what your children will learn. But for me, it’s the entertainment factor that motivates me to develop the micro-habitats in my small urban yard. 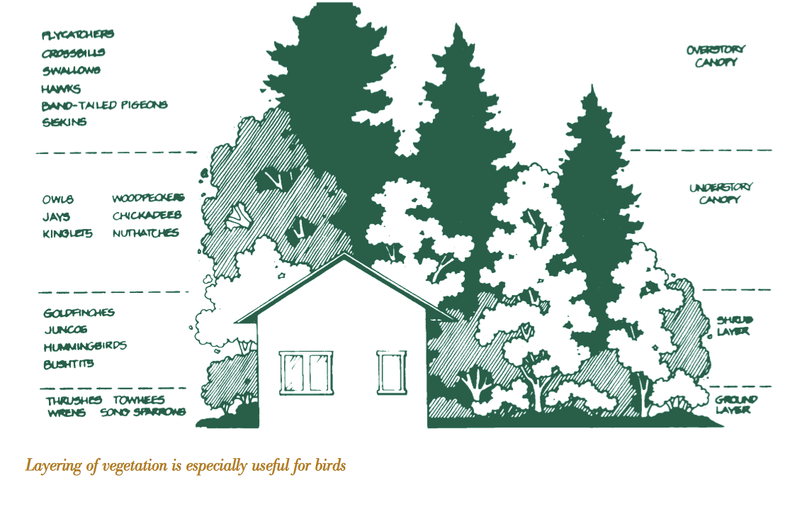 That’s really all you need to encourage beneficial and entertaining wildlife to consider your home their home. Not talking raccoons or skunks or rats or even squirrels. But birds, bees, butterflies, frogs, toads, even little lizards if you live in the right place. Bees and butterflies like a little mud. Birds will be happy with some bugs that you didn’t kill. Frogs and toads will be attracted to some fresh water. It doesn’t necessarily take a lot of work or money, but it does take planning and commitment. Here’s a short article by Doug Green. In order to have a wildlife-friendly garden, you’ll need to think in terms of balance: everything serves something else. You’ve heard me mention my aquarium before (the only pets in my family); my aquarium is balanced. I seldom have to do any remedial care except for small water changes: I feed the fish small meals. 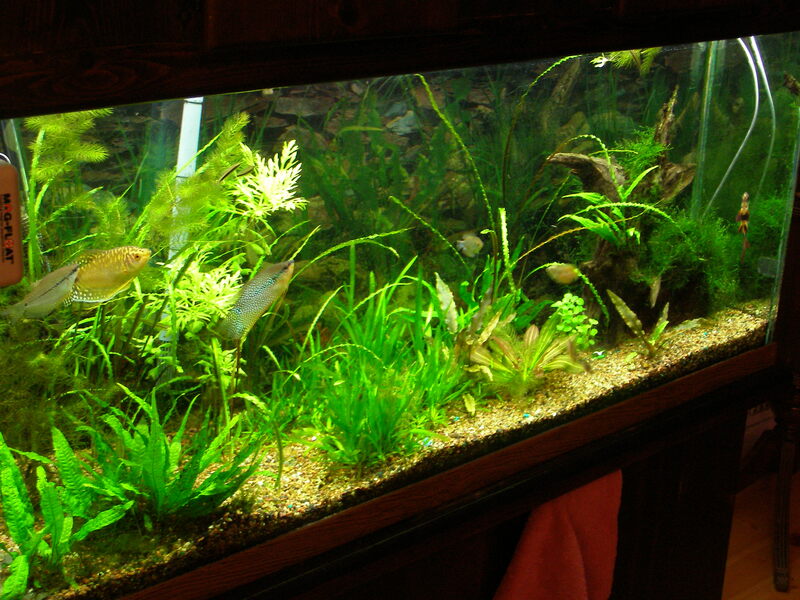 The fish feed the plants, the plants aerate the water and use up all the nutrients the fish don’t need, and the water quality is nicely balanced. In future posts I’ll get more specific, but for now, let’s cover the foundations. To welcome a wide range of native guests, you’ll want to have at least a selection of native plants, varieties of plant heights, minimal added fertilizers, and ZERO pesticides and herbicides, with the exception of organic treatments for food crops. Again, when I get to the different species, I’ll explain in more detail, but at this design stage, I’ll just cover generalities. Plan to have at least a few tall trees, some short trees/tall shrubs, planted quite densely, short shrubs, and a variety of perennials, tall and short. This is called layering, and altho’ in some pictures the layers are often stacked like a grandstand, they don’t have to be, and in my opinion give a lot more interest when they are more “randomly” positioned (ie, designed to be that way). After all, your view of the garden depends on where you are–you’re not always looking at it from the living room window. I was surprised to hear a neighbour comment on how much she loves the look of my garden from her front window. This picture (thanks to NatureScapes BC) shows the tallest at the back (that would indeed be the most logical) and then a variety of tall and short in the mid-background (shaded), finally more varied heights in the foreground. The purpose you can see on the left: different birds and beasts will fly, eat, sleep and nest at different heights. At the lowest level, i.e. ground level, you’ll want to have an area that is left relatively undisturbed, perhaps some uncut native grasses, a bit of brush cut and left, or a section of lawn that is left to grow taller. It doesn’t have to be a large area, just a few square feet will do, and probably not where your neighbours and passers-by will see and exclaim over the mess. Of course, every living thing needs water. You may be afraid of providing a breeding ground for mosquitos if you have standing water, but remember, this is a balanced garden. Some of your invited guests will find mosquito larvae just the thing for breakfast; they’ll never last long enough to actually grow to maturity. Water provides not only liquid to drink, but a play-space for birds, breeding area for frogs and toads, a place to grow bog-side plants, and of course the delight of sight and sound for you. One of the most important elements here is to not KILL the food before it becomes a snack for your critters. Keeping your garden healthy will minimize the number of insects it attracts (unhealthy plants practically scream “come and attack me!”) , but will not eliminate them. The birds on the other hand will be quite grateful for the remainder, as will many beneficial insects. Did you know that parasitic wasps are so small they lay their eggs inside an aphid? So leave a few aphids for the beneficial parasitic wasp. 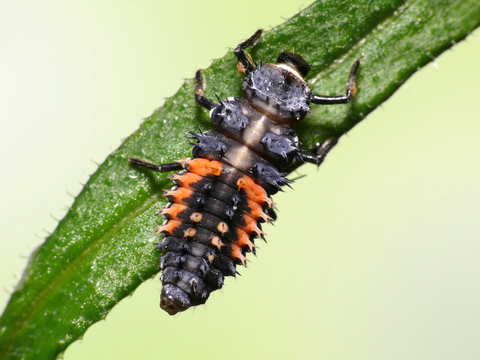 And for the ladybugs, the larval stage of which is a big aphid eater. Providing a wide variety of tasty morsels will increase the diversity of wildlife that come a-callin’. And again, at least a few of your plants should be native. For those that aren’t native, have some that are as little hybridized as possible. 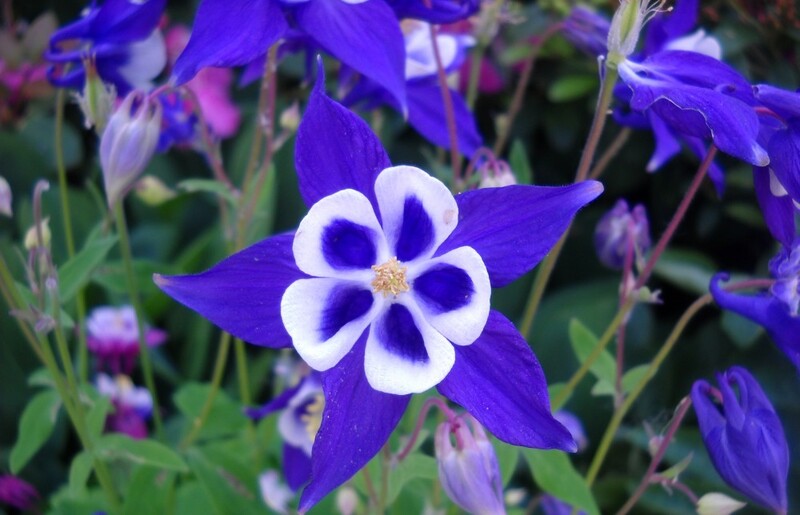 For example, many new cultivars of your favourite flowers are actually sterile–no seeds, no seed eaters. So that beautiful ‘Cherokee Sunset’ Coneflower I bought last fall won’t do anything for the chickadees and juncos. But they’ll love the sunflowers. It’s early in the year, so you’ve still got lots of time to plan your wildlife garden. Stay tuned for more detailed information about bird, bee, butterfly, beneficials-friendly gardening. in the meantime, ask questions, make comments, and click the follow button. I just have to say another word (or many) about MULCH. I spent the last few days in the Fall downtown at a conference (Istoria), and walked around near the waterfront during the lengthy breaks. And saw some pretty MISERABLE looking planting spots at some of the most beautiful office towers. I wish I’d taken some pictures to demonstrate what was so bad about them. * Erosion: water and mud pouring over walkways because too much irrigation was doing too little soaking. * WEEDS: every planting bed that wasn’t maintained at least weekly was full of weeds, looking very unkempt. * Compacted soil: many were large beds that had to be walked on to access, inevitably compacting the soil making it more difficult for the plant roots to expand and thrive. * Ugly bare patches: ’nuff said. * Our 10 months of rain won’t wash the soil away. * Weeds blown into the area will have a harder time rooting. Those that are already in the soil (many seeds last for decades!) won’t see the light of day, so won’t germinate. * And when weeds do grow, they are MUCH easier to pull out. 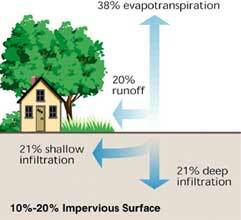 * Water evaporates first from the mulch before the soil begins to dry out (in our 8 weeks of dry weather per year). * Mulch provides a more finished, attractive look to our garden than bare soil, which just looks…unfinished. Do yourselves a favour–layer on 2-3 inches of organic mulch, and within just a couple weeks you’ll be thanking me for all the benefits you’re already experiencing! I’ve been reading up on Rain Gardens–timely, in view of the amount of rain we’ve had here in coastal BC the last two days! Small rural town with little development; runoff is doubled. 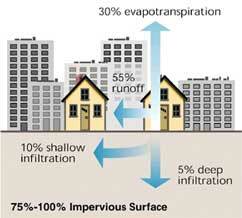 Highly developed city; 55% of rainwater is runoff! 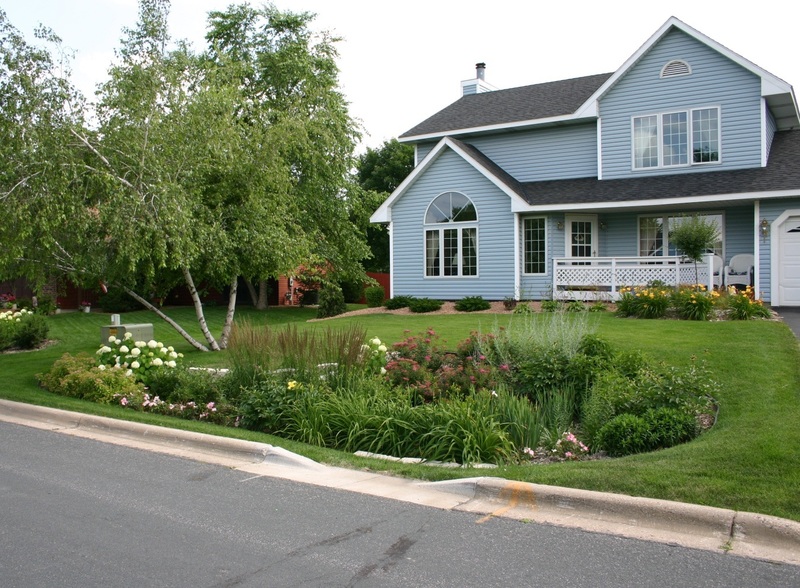 The problem with stormwater runoff is both where all that water goes, and what goes with it. Instead of recharging ground water and aquifers, the stormwater goes into the storm sewers, carrying with it road pollutants, lawn and garden chemicals (not YOURS of course! ), various compounds from roofs and gutters. From there it goes into local streams, including fish bearing streams, rivers, lakes and ocean. Meanwhile, the ground is getting drier and drier. 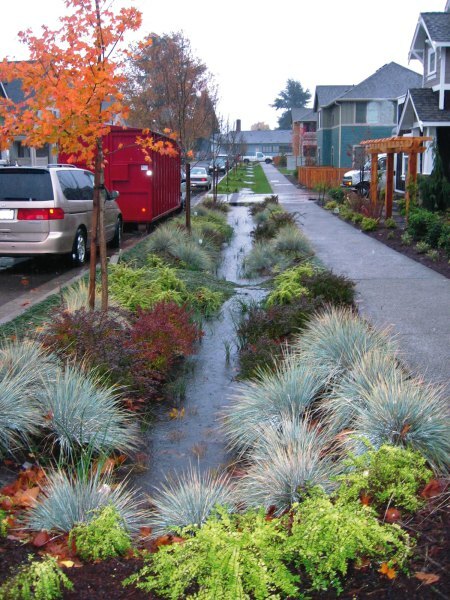 Integrated Stormwater Management Plans (ISMP) are becoming big business these days. If you google your own city, you’ll no doubt find it has a stormwater management plan that goes well beyond building new sewers. This is where garden design kicks in. There’s tons of information out there on how to design and build your own ISMP. All it takes is a little level-ish space (there are calculations to determine optimum size), a slightly concave depression (read “dig down 6-12”), a conduit to direct water from the impervious surface, and plants to make the garden beautiful. 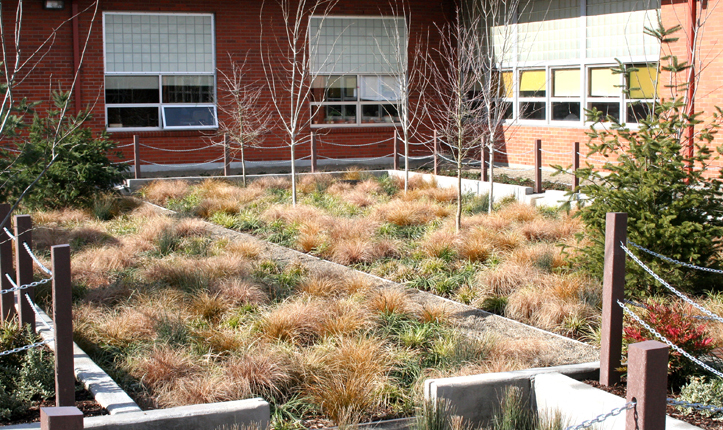 A Portland Oregon Middle School award-winning rain garden. The Rain Garden Retrofit. This pond in the centre of the garden will seep into the ground in a few hours–or a few hours after the rain stops falling! There’s no end of creativity in developing your own rain garden. If you can’t build one in your own home, maybe your kids’ school is an appropriate place. Or the boulevard in front of your townhouse complex. 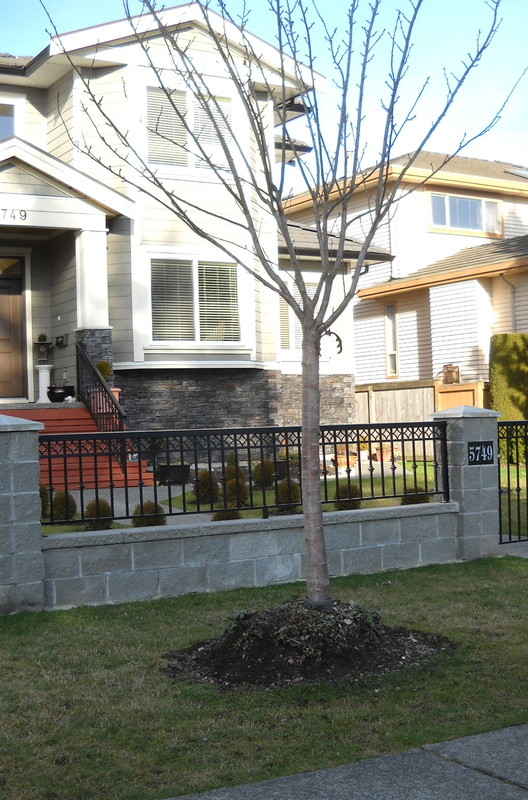 Or the “low maintenance” border around your apartment building. Stay tuned for Part 2 when I’ll get into the details of “How To…”. As always, “like” RLGS on Facebook, and click the “follow” button.